The following Powershell function will change the current user’s desktop wallpaper automatically using the SystemParametersInfo function that can be located in the User32.dll. For more information about the SystemParametersInfo function, please see this link to MSDN. The following script will reboot a computer if it has an up time greater than 5 days and does not currently have a user logged on. $Explorer = Get-WmiObject Win32_Process -Filter "Name = 'Explorer.exe'"
Here are two separate Powershell functions that will configure file ownership and file permissions. I had to create them, since I was having to reuse the same code multiple times in my upcoming Creators Update 1703 cleanup script. Enjoy! Powershell has a great CMDLET called Test-Path that can check to see if a registry key exists but unfortunately it does not have the ability to check for registry values. In order to get around this, I created the following function to check to see if a registry value exists. This can be extremely useful when you are using a registry key to verify if a script has already executed in the past. I was recently asked to figure out a way to determine which users had cache mode enabled in Outlook 2016 and the end result is the script below.
} | Select-Object Username, SID, "Computer Name", "Cache mode", "Registry Key Value"
$Table | Export-Csv -NoTypeInformation -Append -Path "$directory\$file"
"Registry Key Value" = "N/A"
Feel free to leave questions in the comments! 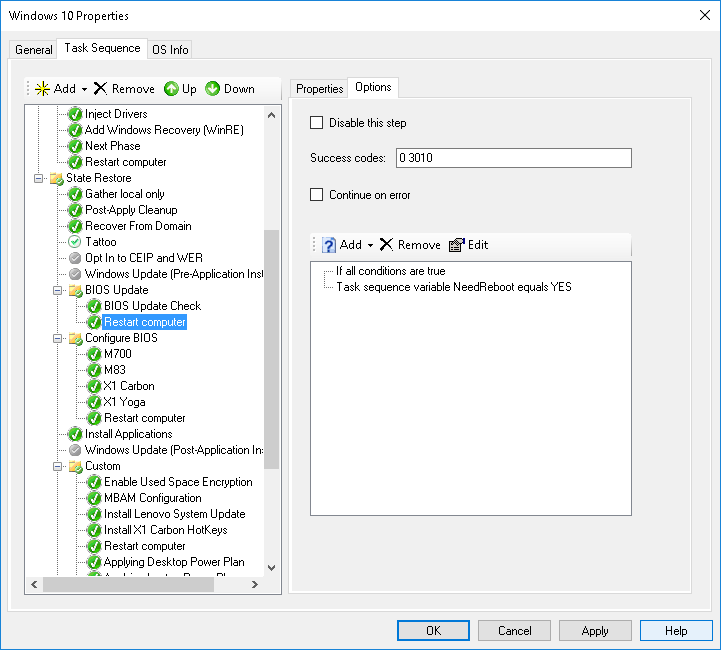 The following script will use the user’s AD city and the default gateway to determine if a user is in their home office or visiting an office. 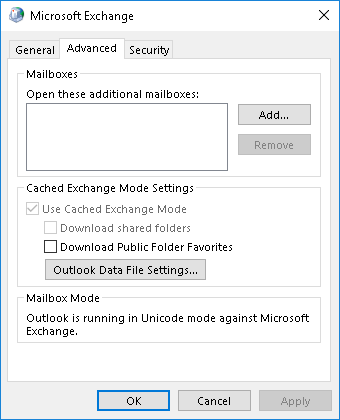 If the script determines that the user is not in their home office, it will automatically disable Outlook caching and vice versa for a user that is in their home office. In order for the script to work, you will need to use the cities listed in AD for your $CurrentLocation switch. Similar to the example below, you will also have to copy your default gateways inside of the switch. Inside of the BIOS folder, you will need a folder for each model that you are supporting in your deployment. 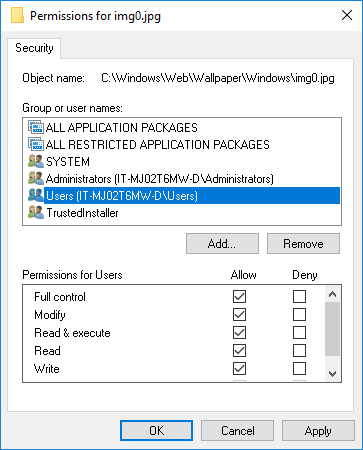 The folder names must match the model name that MDT queries with ZTIGather. You can run wmic computersystem get model to get this value. Inside of these folders, you will need to place all the files needed to install your BIOS update. You will also need to create custom files needed to silently install and determine the latest BIOS version. In this txt file, you will place the BIOS version of the update. This is used to compare the BIOS version installed on the machine and the latest update version. In this file you will add all the commands needed to silently install your BIOS update. And now for the actual Powershell script!